Although we’ve been around for 40 years, baking natural, fresh bread the way it’s meant to be baked, that idea will never become stale. In fact, our commitment to food transparency and ingenuity is what’s kept us ahead of our competitors for years, and what has positioned us so well alongside new consumer tastes. 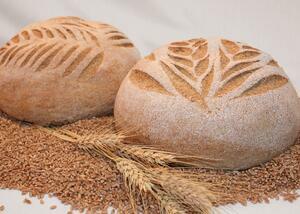 Our authentic, locally-made bread is at the heart of our brand, and we’ve never strayed from our mission. For more than 30 years, we’ve been purchasing our premium, hand-selected wheat from family-owned wheat farms in the Golden Triangle of Montana. Every year, we conduct wheat testing on the crops to measure protein content, moisture level, baking qualities and, of course, taste. While other restaurants rapidly started to cut corners and favor cheaper, processed ingredients made in a central commissary, we opted to stick to our roots – and it’s paid off. As consumers increasingly demand authentic, genuine ingredients and fresh, local food that’s handmade from scratch, now is the perfect time to invest in a brand that’s been baking bread the right way from the start. It’s no secret more and more consumers have been placing greater importance on authentic, handmade food. In fact, 75 percent of consumers said they’re willing to pay more for natural ingredients – just one of the many driving forces behind the fast-casual restaurant boom, which has skyrocketed by 550 percent in the last 20 years. From introducing more whole grains to removing preservatives, restaurant brands across the board have been trying to capitalize on these changing consumer tastes and adapt their recipes accordingly. 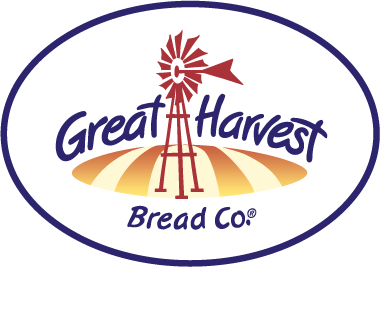 While the rest of the restaurant industry has scrambled to offer more ingenuity in their ingredients, at Great Harvest Bread Company, we’ve never veered from this. In fact, the signature honey whole wheat bread that first catapulted our brand to success in 1976 is made with just five simple ingredients – water, salt, fresh yeast, fresh ground wheat and honey. While this loaf remains one of our best-sellers, we’ve branched out beyond this great-tasting bread and expanded our menu to offer our consumers even more. But, if we’ve learned anything in our 40 years in business, it’s that great taste and nutritional benefits don’t have to be mutually exclusive. Our food is one of the few things in the world that tastes better and is better for you from a nutritional standpoint. Whenever guests walk through our doors, they know they’ll be able to have their cake – er, bread – and eat it, too. Not only are guests increasingly concerned with what they’re introducing to their taste buds and bodies, they’re also increasingly aware of the impact their choices have on the environment surrounding them. For that reason, consumers have been prioritizing “buying local” – which is just as important for environmental sustainability as it is for sustaining local economies. Farmers markets have long been a popular option for consumers - in fact, 12 percent of American adults regularly get their groceries from farmers markets. And while restaurant franchises and commercial food distributors would love nothing more than to break into the farmers market retail channel, farmers markets are understandably selective about only letting in locally-made, high-quality foods. 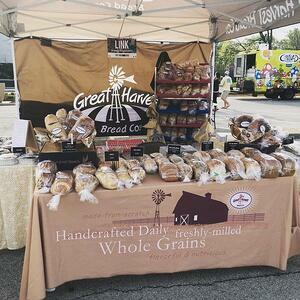 Although Great Harvest is a franchise, we are able to participate in most local farmers markets – because everything we make, we make locally. Not only is our bread made locally, our franchisees also have the freedom to choose local products to put on their menu – whether it’s a homemade soup recipe or a local coffee roast. So, they’re able to contribute to the community atmosphere by not only providing fresh, locally-made products, but also supporting and promoting other business’ locally-made ingredients and recipes. With more than 195 locations across the United States – and growing – we’ve solidified our place as a beloved and authentic brand. 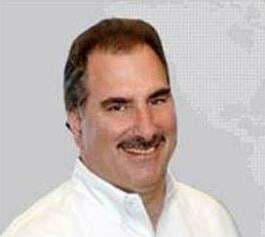 Our consistent commitment to fresh-baked products is a central tenet of our brand that has allowed us to dominate the bakery and bakery cafe franchise space for four decades. We have validated more than 2,000 locations across the U.S. with great potential for Great Harvest locations with Buxton Scout. We’ve identified the markets where our brand will be successful, and we know exactly where you could be opening our next 200 local stores. Are you interested in expanding your portfolio with an authentic, established business with a history of success? 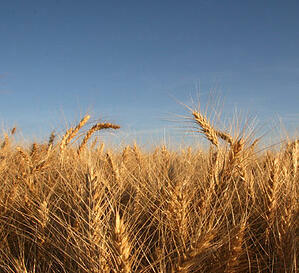 Contact us today to learn more about franchise opportunities with Great Harvest Bread Company.